Every holiday season we get these novelty candies and don't do anything with them. 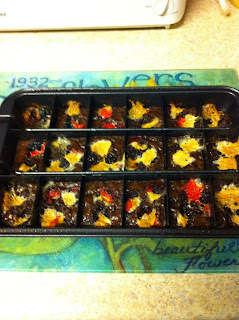 Well, I am all PMSY (seriously I cried about nothing earlier and I'm ovulating or something so hormones = WHACKED) so I thought to myself, "SELF, we should make some brownies. But they need something! What do they need? 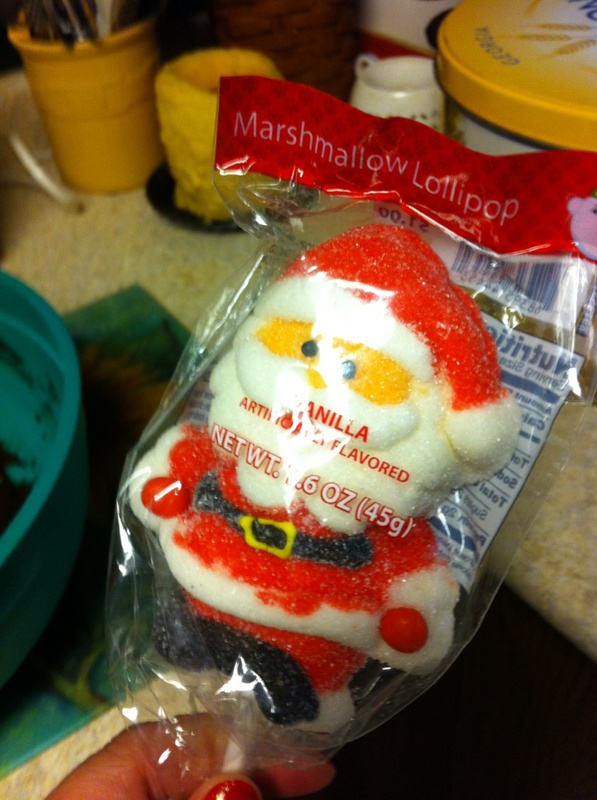 MARSHMALLOW SANTA!" 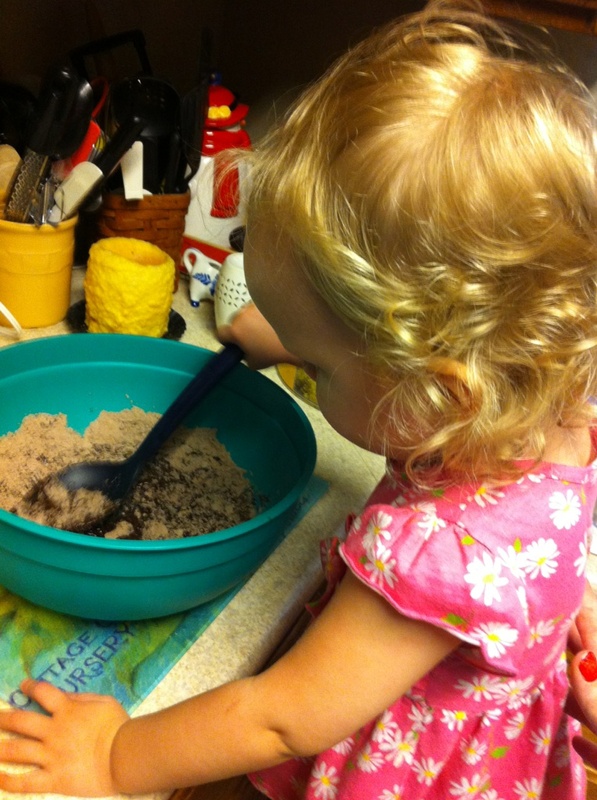 and introduced her to the family tradition of standing on a chair to help stir the batter. 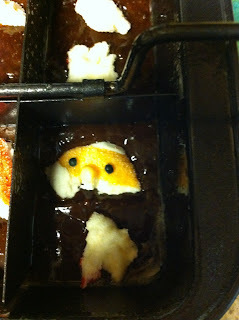 Then I pulled Santa apart and inserted him into all of the sections of the brownie pan. 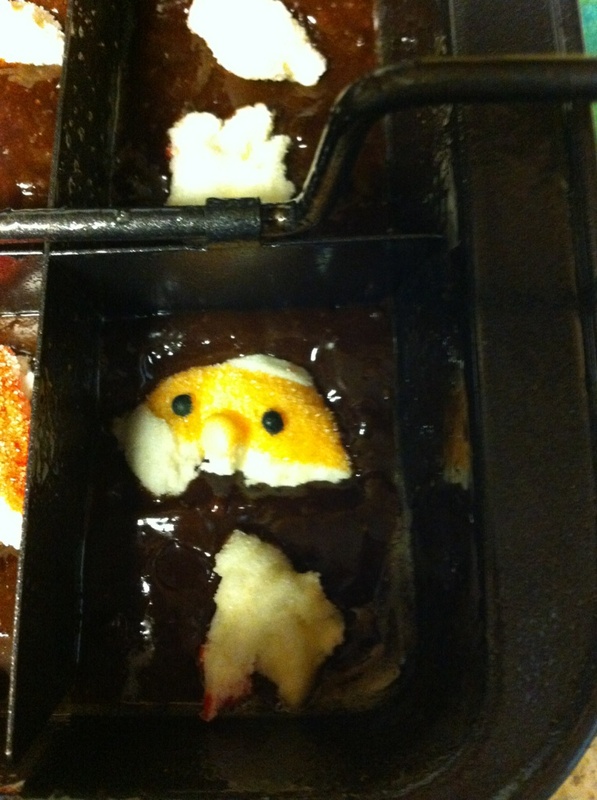 MEET YOUR FATE FAT MAN! 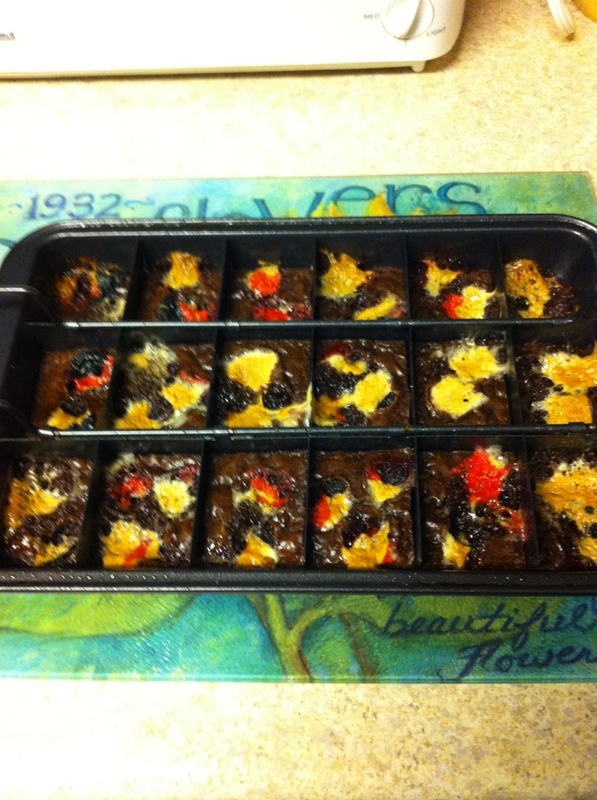 I may eat these all before the oldest boy and his father get home from soccer. Marshamallow Chocolate Fudge Brownies, FOR THE WIN! seriously. Jealous. Hate. Love. GIMME.